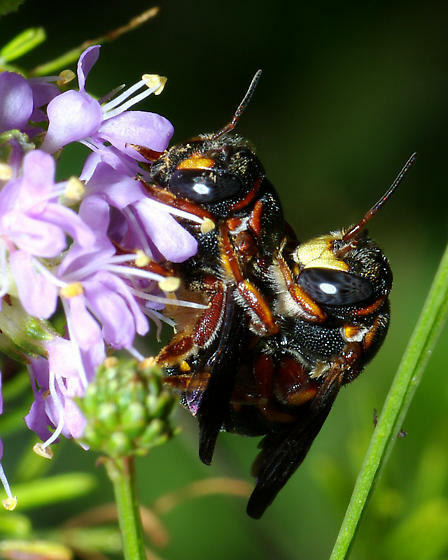 I am pretty confident this mating couple belong to Anthidiellum. They were found the same time of year and on the same type of flowers as this pair from 2008 . Moved from Leaf-cutter bees, Mason Bees, and allies.